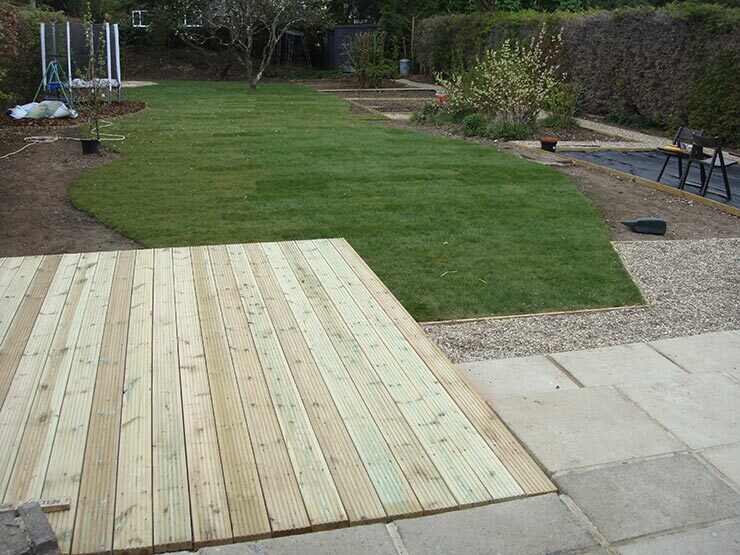 This was a neglected garden that needed some attention to tidy up the lawn and utilise the space. 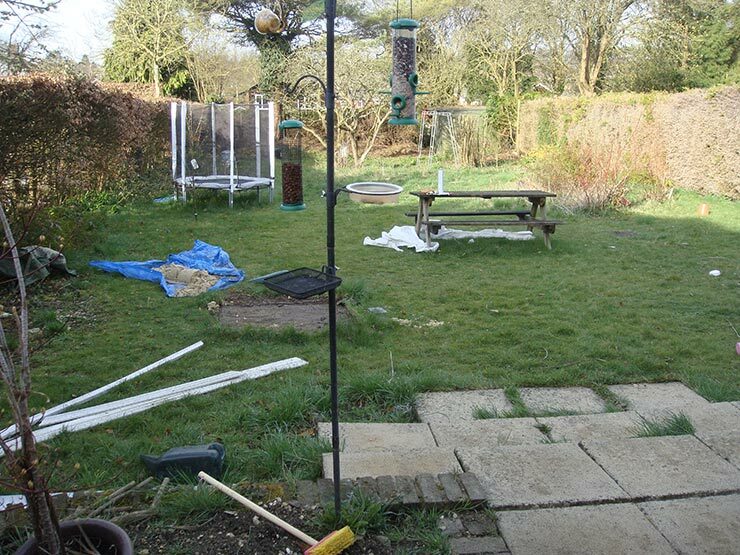 Firstly we took up all of the old turf, weeds, brambles etc that had built up over time. 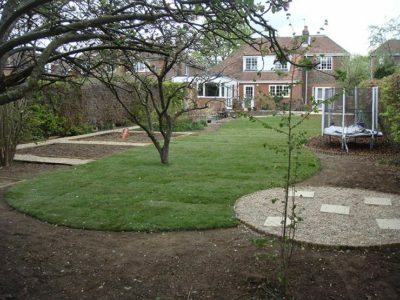 We then levelled the whole area using a mini digger and built some vegetable plots to the right hand side of the garden. 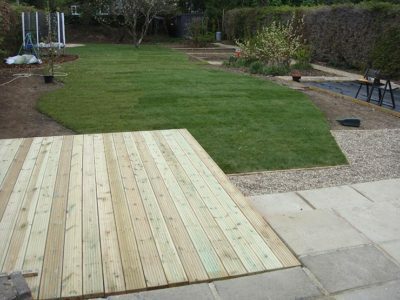 As the customer had young children we put some play bark down the left side of the garden for a trampoline and other toys. Finally we laid a new lawn with the turf supplied from Winchester Turf. 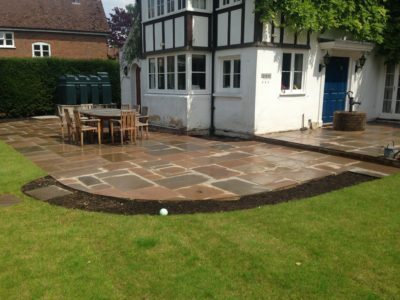 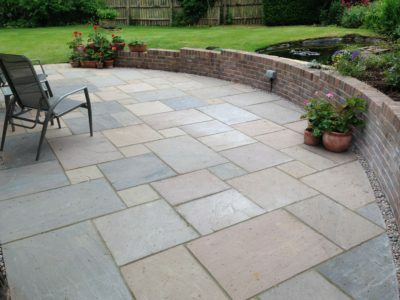 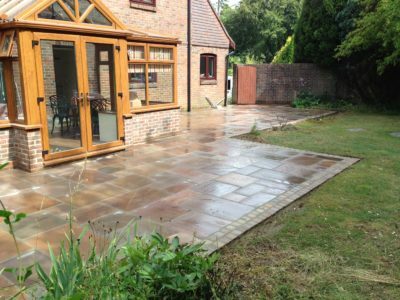 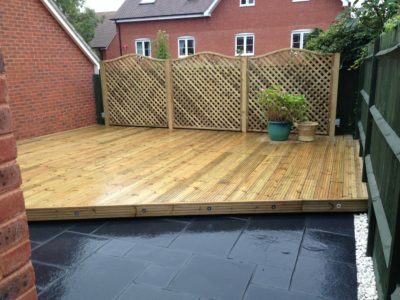 Once we had sorted out the lawn area we re-laid the patio as it had sunk in places and built a decking area.